One of the reasons many people never start investing is because they don’t know how or where to invest. Typical brokerage accounts offer thousands of investment choices, which can be far too overwhelming for the average, busy investor. Plus, many people are scared to invest because they think it requires putting money into risky stocks or having to do a bunch of mind-numbing research. Putting away money on a regular basis. Purchasing assets that pay dividends, appreciate over time or do both. Buying a variety of investments that keep you diversified and reduce risk. 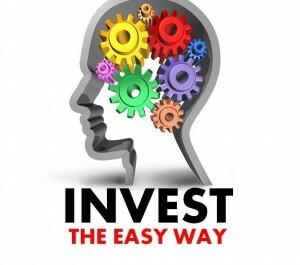 The easiest way to accomplish all three is to use an online investing service that simplifies the process. Fortunately, there are excellent places to invest that don’t require you to have any prior investing knowledge or experience. If the idea of having to choose from thousands of stocks and funds makes you want to scream, Betterment offers a radical alternative. With Betterment, you don’t pick individual investments. Instead, you simply indicate your risk tolerance and they take care of the rest. You use an intuitive slider to show whether you’re super conservative, ultra-aggressive, or somewhere in between. Then Betterment funnels a portion of your money into two portfolios, a basket of stocks or a basket of bonds. For instance, if you’re very conservative the mix might be 90% in the bond basket and 10% in the stock basket. And you can change your investment allocation at any time. The average Betterment portfolio earns 7.86%. For stocks, they currently use 6 exchange-traded funds (ETFs) from Vanguard and iShares that own thousands of companies in the U.Ss and overseas for excellent diversification. It’s like owning a small part of every public company in America plus getting international exposure. For bonds, Betterment currently uses two ETFs from iShares that hold Treasuries backed by the U.S. government for income with very low risk. Betterment charges a low annual fee of 0.15% to 0.35% depending on your balance. If your account has $20,000, you’ll pay a maximum of $50 a year. I have a Betterment account and have been incredibly impressed with how easy and streamlined the service is. To get started you transfer money from a linked bank account. There are no minimum balances, transaction fees, or hidden costs. You can open up a regular investing account or a traditional, Roth, or rollover IRA. If you want a savvy, market-based approach to investing—rather than trying to time the market with hand-picked investments—Betterment is a brilliant way to go for all or a portion of your investing. Click here to learn more about Betterment and get your $25 bonus! If you want more control over choosing companies to invest in–but still want a simple platform that streamlines the process, check out Motif Investing. A “motif” is a package of up to 30 well-researched stocks that reflect an investing idea or real-world trend–like biotech breakthroughs or the 50 most “liked” brands on Facebook. Motif looks for ideas and world events that could create an investment opportunity and builds a motif from related companies. You can browse through dozens of motifs, pick what appeals to you, and even customize them by adding or deleting stocks or changing the weightings. Investing in multiple motifs gives you diversification across industries, sectors, and countries. There’s also a social aspect to Motif. You have the option to create and control an Investing Circle where you can invite friends you trust and share insights privately. You can set up a Motif account with a minimum deposit of $1,000 with an online transfer or sending a check. Then you buy an entire motif portfolio for as little as $250–and the cost to buy or sell is a low commission of $9.95 with no management fees. You can open up a regular investing account, or a traditional, Roth, or rollover IRA. Click here to explore Motif Investing and get started!